This journey of mine into the heart of the Ezer Mizion world enters its eighth week. Every week, I reveal another chapter here, in our little corner. So far, we have only touched on a small fraction of the sweeping empire of activity. Throughout this ongoing overview, during which I have met up with the people at work and have seen the various projects in action, I cannot help asking myself one question – a rather frightening one: What if all this did not exist? These are not government systems under official auspices. They are complementary, civilian, alternative systems. They are the product of private initiatives, supported by donations. They are a bonus that our civilian society is privileged to have at its disposal and that are so basic and self-understood! Question: What does a family do when their loved one is stricken with Alzheimer’s or other forms of dementia? The medical establishment will do its part to the best of its ability (in this case, that is easy enough: to inform the family that there is nothing to do…). But what’s next? How do you deal with a new reality in which a father or grandfather gradually loses his awareness and becomes helpless and disconnected, while his body remains whole and healthy? How do you protect him? How do you relate to him? How do you bear the pain and frustration? What do you do? 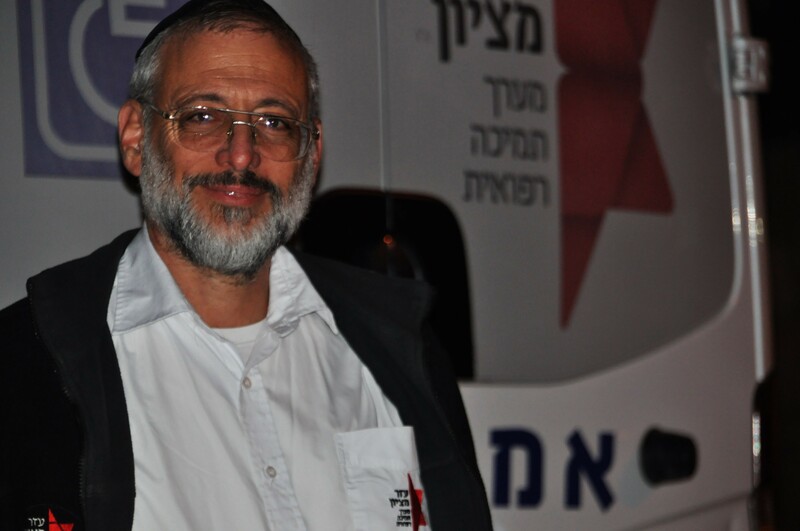 You turn to Ezer Mizion. And what do you do in situations that are not quite so miserable, when you simply reach a stage where you are compelled to assist a parent or other relative who is gradually losing his independence and leaning on the care of others? There, families of Alzheimer’s patients find their first hope for redemption from their impossible situation. They are presented with a course of action that ends up easing not only their burden, but the life of the patient himself. 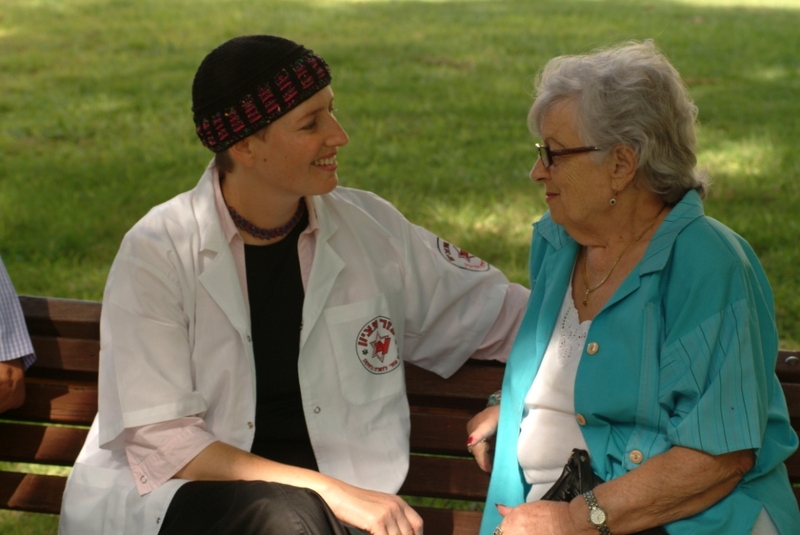 This takes place at the Organization’s Alzheimer’s Support Center, serving very many families in Israel. This work is only a small part of the comprehensive system Ezer Mizion operates for the benefit of seniors and their families. Here, these precious elderly people, who initiated and established and exerted efforts and lovingly prepared everything for those who are now compelled to care for them and assist them – are given the special attention they have earned. A huge division of Ezer Mizion pools within it the spectrum of services needed by the senior and his family with an emphasis on setting up the environment so that the elderly individual will receive the optimum care. Caregiver services, a counseling center, an empowerment center, walking groups, a variety of workshops, visits by volunteers, the Bonding with Motion program (a fascinating project that I intend to expand upon in the future) and more, without bounds. I find it amazing. That there is an address. That there is somewhere to turn. That there is a way to ease pain that is not physical. That there is someone to talk to. That there is – Ezer Mizion. 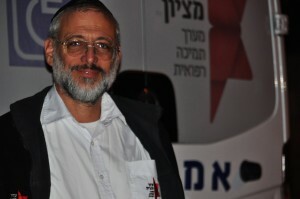 Shmuel Strauss was hired as a driver. His job: to transport the elderly and disabled from here to there. But reading between the lines, he knew that an Ezer Mizion driver could do so much more.